‘While working in African countries, one of the hardest challenges you can face is to implement HSE policies and regulations upon international standards’ says Hatem Nassif, HSE Manager, GSS Sudan. Remarkably, GSS Sudan is celebrating its second year without any LTI’s (loss time injury). 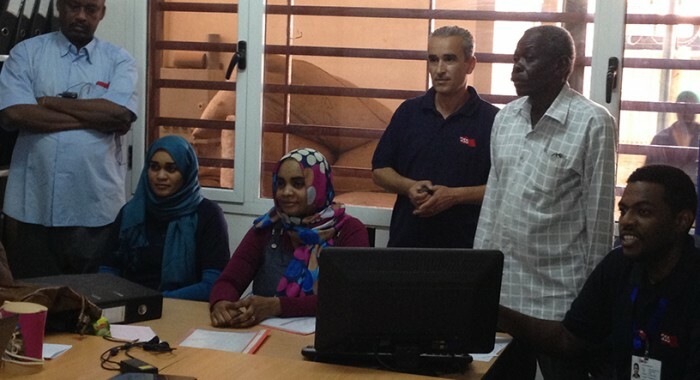 GSS Sudan has more than 450 employees in 11 remote sites. Since January 2014, the challenge of achieving zero LTI’s was accepted after 2 incidents occurred the same month. In cooperation with other departments, and support from the country manager, HSE standards were improved as a result of improved training and sharing SOPs and procedures with all staff. We are happy to share this milestone with you all in celebration of a 2nd year in a row without any LTI’s. GSS Sudan will continue to improve its HSE standards and is working on a pocket size HSE guide, which will be handed to each and every one of its staff.